We are proud to partner with Healthy Living! Home/Uncategorized/We are proud to partner with Healthy Living! 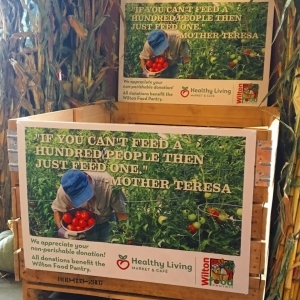 Healthy Living Market (Saratoga) is a proud Community Partner of the Wilton Food Pantry. Please consider donating a non-perishable item to the permanent food drop in the front entrance when you shop at HL. 2018 Empty Bowls a huge success! The Elks/Food Pantries Senior Delivery Program hits 38 deliveries!